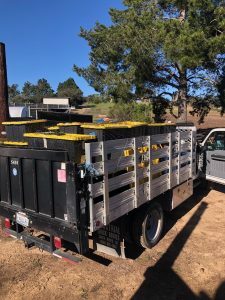 At approximately 7:00 a.m. this morning, February 11, 2019, the Santa Barbara County Sheriff’s Cannabis Compliance Team (CCT) served a search warrant in the 2000 block of Wild Oak Road in an unincorporated area near Lompoc. 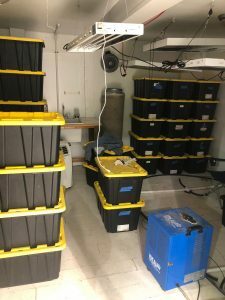 The search warrant was obtained after an investigation revealed the cannabis cultivation facility was operating with a temporary license that had been fraudulently obtained. 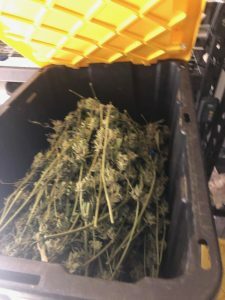 Today, deputies eradicated more than 1,300 illegal cannabis plants and approximately 500 pounds of processed cannabis. 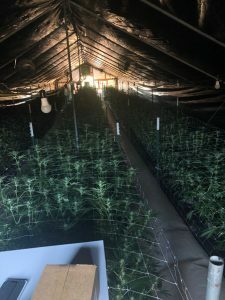 The 52-year-old Santa Barbara resident, who operates the facility, faces perjury and illegal cultivation of cannabis charges. The case will be forwarded to the Santa Barbara County District Attorney’s Office for review.